This sermon, the first of two on today’s scripture, is about an unpopular subject: the wrath of God. As I explain in this sermon, if God truly loves us, then that means that he will also have wrath toward sin. At the same time, God made a gracious provision to save us from his wrath. Every sin will be punished, scripture tells us, either through Christ on the cross or through us in hell for eternity. The choice is ours. These people don’t sound so different from us: like us, they had “once been enlightened”; like us, they had “tasted the heavenly gift” of salvation; like us, they had “shared in the Holy Spirit.” Like most of us, they were genuine Christian believers. But they drifted away—they fell away—from the faith. And now they’re lost; it sounds like they’ve passed a point of no return and are beyond hope. Could this happen to us… If we drift away? Hurricane Irma had been downgraded to a tropical storm by the time it reached my home south of Atlanta on Monday, but it was powerful enough to knock out our power. 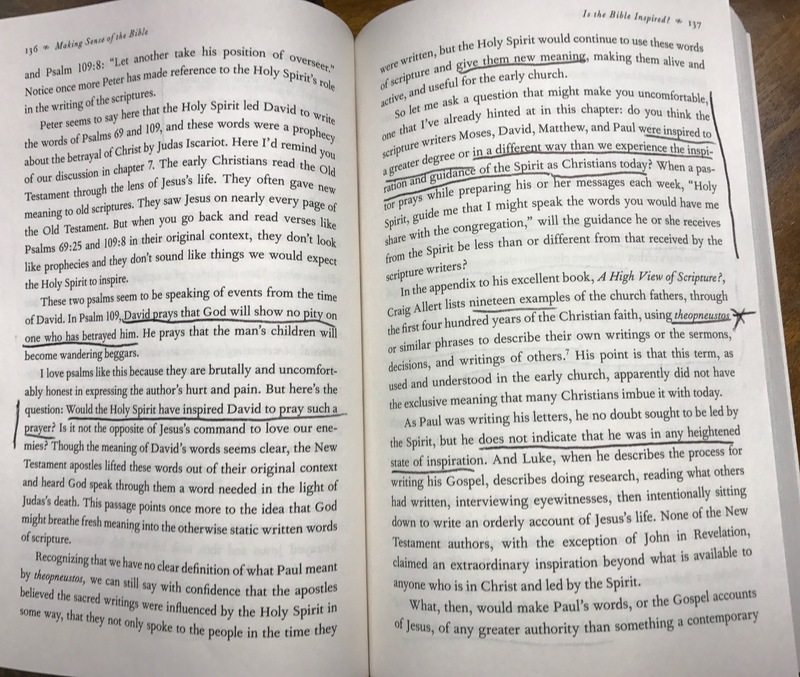 So, in preparation for my upcoming sermon on Sunday on sola scriptura, I spent the day reading a book by an author whose viewpoint I knew I wouldn’t share, United Methodist megachurch pastor Adam Hamilton’s Making Sense of the Bible. 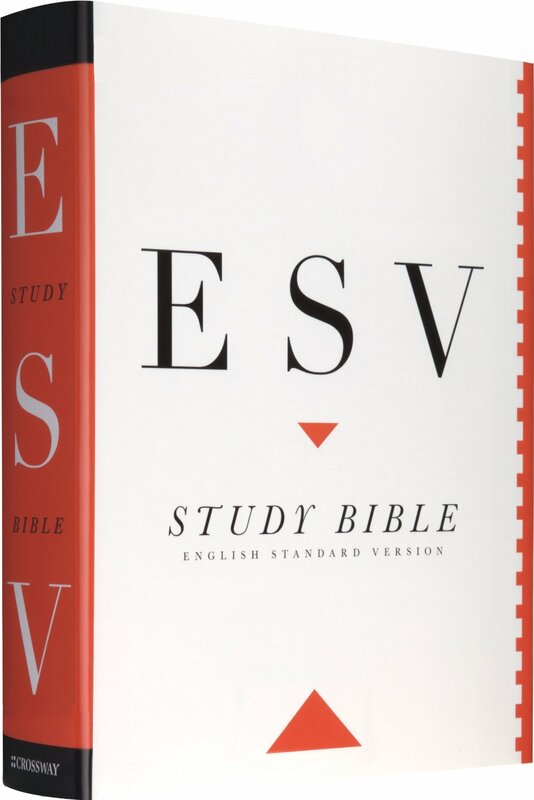 It was from this book that he articulated his “three buckets” approach to scripture, which caused great controversy a few years ago. Most of scripture, he says, belongs in Bucket #1: It reflects God’s heart, character and timeless will for human beings. Other scripture belongs in Bucket #2: It expressed God’s will in a particular time, but is no longer binding. The ceremonial aspects of the Law of Moses, for example—including Jewish dietary law, circumcision, and purity laws—would fit within this bucket. I would only qualify this by saying that there’s a sense in which none of us Christians is bound by any part of God’s law: Christ has fulfilled it all on our behalf. We are free from the law, although, as the Spirit writes the law on our hearts through sanctification (Heb. 10:16), we will naturally do works of the law out of love for God and neighbor. We are not antinomians. He offers a few predictable examples of Bucket #3 scriptures, including the conquest of Canaan in Joshua. In the last chapter [in which he discussed Noah’s Ark], we learned that God was “grieved to his heart” by the violence human beings were committing against one another, and for this reason he decides to bring an end to the human race. Now God is commanding the Israelites to slaughter entire towns, tribes, and nations, showing them no mercy and providing them with no escape. How can this be? began to think about the humanity of the Canaanites. These were human beings who lived, loved, and had families. Among them were babies and toddlers, mothers and fathers. Yet they were all put to the sword by “the Lord’s army.” Thirty-one cities slaughtered with not terms of surrender offered and no chance to relocate to another land. I came to see the moral and theological dilemmas posed by these stories. Hamilton says that we should filter everything in the Bible through the “words and great commandments” of Jesus Christ, who alone is the true Word of God (John 1:1). Jesus is not merely a “lens” by which we read the Bible; he is a “colander,” through which we can filter the rest of scripture to determine what scriptures belong in Bucket #3. He offers six more examples in his blog post, but you get the idea: to say the least, hell, about which we learn more from the red-letter words of Jesus than any apostle or Old Testament writer, is infinitely more violent than violence perpetrated by human beings. How would Christ’s own words pass through Hamilton’s colander? In which case, Hamilton’s “canon within the canon” wouldn’t even include all the red-letter words of Jesus himself! Throughout the book, Hamilton argues that we can’t reconcile scripture’s depiction of God’s violence with the “forgiveness and mercy” demonstrated by Christ. In doing so, however, he underestimates the problem of sin—the way it makes us “enemies” of God (Rom. 5:10) who deserve God’s wrath (Rom. 1:18)—and the effects of Christ’s atoning death, through which forgiveness and mercy are made possible. By all means, throughout the gospels, Jesus tells people, “Your sins are forgiven,” the only condition of which is faith and repentance. 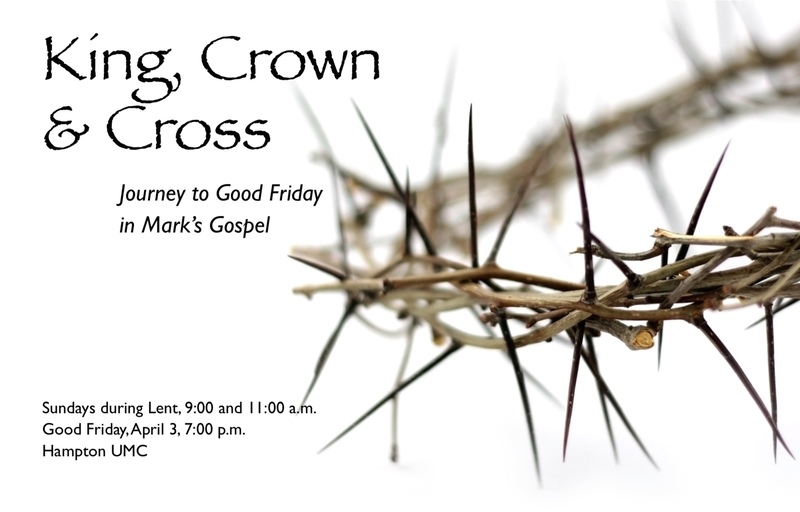 But theologians would say (as the rest of the New Testament makes clear) that Christ’s forgiveness isn’t free: even before Good Friday, it looks forward to and is made possible by his substitutionary death on the cross, on which he suffered the penalty of our sins for us. The effects of the cross are applied retroactively to the people Jesus forgave in the gospels. By the way, this is also the basis of forgiveness for Old Testament saints. Abraham, for example, was justified by faith alone, as Paul says in Romans and Galatians, but it was a faith that looked forward to the cross, however incomplete Abraham’s understanding was. Hamilton fails to wrestle with the debt that we human beings owe God. The Bible’s clear teaching is that we all deserve God’s judgment, death, and hell because of our sins. And forgiveness is infinitely costly, because it requires the death of God’s Son Jesus. I feel like these are the A-B-C’s of the gospel, about which a self-identified evangelical like Hamilton shouldn’t need a refresher. Yet, in his book, he doesn’t deal with the cruciform shape of God’s love—at all! Why? What a glaring omission from someone who is purporting to “make sense” of the Bible! In a future blog post, I’ll talk about Hamilton’s view of scripture’s “inspiration” and the way in which it’s also self-refuting. For the sake of his contrarianism, my Old Testament professor in seminary, the late John Hayes, enjoyed telling his class of incredulous mainline Protestants—many of whom rarely used the word “sin,” or did so only in non-traditional ways—that Leviticus was his favorite book of the Bible. Why? Because it takes sin deadly seriously. It demonstrates the costliness of sin. 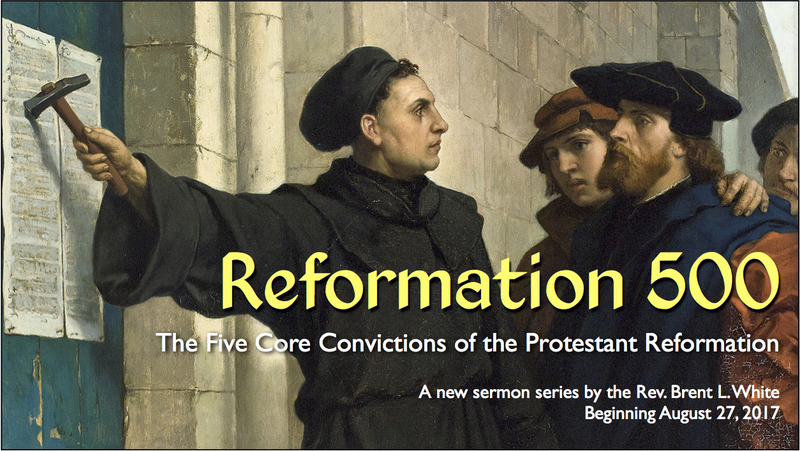 Basic to the ritual is the idea that atonement for sin costs something. Something valuable has to be offered in restitution. The life of the sacrificed animal, together with the sense of awe associated with the shedding of blood, represents this payment. “Without the shedding of blood there is no forgiveness of sins” (Heb. 9:22). The blood represents the ultimate cost to the giver. There is something powerful here that grips us in spite of ourselves. The use of the phrase “blood of Christ” in the New Testament carries with it this sacrificial, atoning significance in primordial sense; we cannot root out these connections even if we wanted to. Leviticus 5:14 maintains that one who sins must bring a guilt offering to the Lord “valued… in shekels of silver.” Note the emphasis on assigning value to the offering. The suggestion is that there should be some correlation of the value of the offering with the gravity of the offense. If the supposed sacrifice is just something we are getting rid of, like those old clothes in the back of our closet that we haven’t worn for years, then restitution is not made. Anselm’s word “satisfaction” seems right here, wth its suggestion of comparable cost. We are familiar with this notion; we are infuriated when people who have committed great crimes get off with light sentences. The trouble is that there is no adequate punishment for a truly great crime. How could there be any offering valuable enough to compensate for the victims of just one bombing let alone genocides of millions? Anselm’s point is one again apposite: “You have not yet considered the weight of sin.” The obvious conclusion, explicitly drawn in Hebrews, is that the sacrificing of animals just isn’t enough. One of the simplest ways of understanding the death of Jesus is to say that when we look at the cross, we see what it cost God to secure our release from sin. And yet, as she points out, blood sacrifices and guilt offerings, no matter how costly, are also “light sentences.” They were never meant to be otherwise. They were meant to symbolize both the costliness of sin and the sheer graciousness of God—which itself prepares us for God’s sacrifice on the cross. Contrary to the widespread stereotype, God always related to God’s covenant people on the basis of grace. None of this will be persuasive to anyone who does not already know himself to be within the sphere of God’s grace. In view of the widespread notion that the Old Testament is all about sin and judgment, there is an urgent need in the church for more intentional teaching of the enveloping grace in the First Testament. God’s redemptive purpose in electing a people (Gen. 12:1-3; 17:1-27) was put into effect long before the giving of commandments and ordinances. God has already told them, You are my people. God has ordained the means whereby we may draw near to him. The ordinances of the Torah are not a catalogue of tribal customs. They are gifts from the living God. If we miss this point, then we won’t understand, for example, Paul’s argument in Romans. We might wonder instead what was wrong with God’s original covenant with Israel, such that they, too, are under God’s judgment. Why couldn’t Israel have its means of atonement through the Law and we Gentiles ours through Christ, and both groups be fine? Of course, many Christians already believe that, unfortunately. If so, they need to read Rutledge’s new book. 1. Fleming Rutledge, The Crucifixion: Understanding the Death of Jesus Christ (Grand Rapids: Eerdmans, 2015), 245-6. Was Jesus forsaken on the cross? I’m aware that I’ve spent a lot of bandwidth on this blog recently complaining about my seminary education. But these days I continue to be reminded of ways in which mainline Protestant seminary let me down. One important way it did this, to say the least, was in its teaching about the cross and atonement. For example, I was taught that Jesus’ cry of dereliction on the cross—”My God, my God, why have you forsaken me?”—didn’t really mean that Jesus was forsaken on the cross. 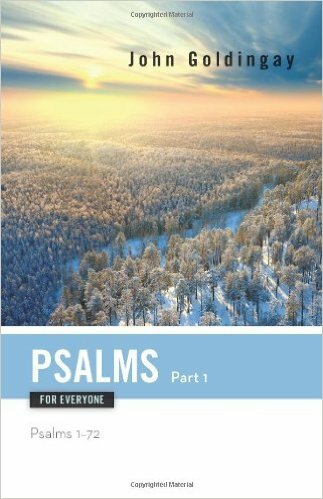 Rather, he was reciting the first verse of Psalm 22 as a way of recollecting the entire psalm, which ends in the narrator’s vindication. I haven’t believed this for years, of course, and I’ve preached often that Jesus experienced complete abandonment by God. I say “experienced” because I don’t want to imply that the Trinity was somehow broken on the cross. Still, he experienced abandonment, which is nothing less than hell. I am deeply suspicious of any attempt to soften that. Was Jesus truly forsaken by God on the cross? It may be that Luke omits the cry of dereliction because he does not want to leave the impression that God was actually absent. On this point, Raymond E. Brown offers a stirring insight. He suggests that, in the cry of dereliction, Jesus is experiencing the silence of God even though God is present and “speaking” in the sign of the darkness at noonday, “but Jesus does not hear him“… I have no better commentary than that of Clifton Black: “It seems to me suspect to rush to the Almighty’s defense in Matthew and in Mark, protesting that the apocalyptic ambience of their crucifixion accounts demonstrates that God’s beloved Son was truly not abandoned at three o’clock that afternoon… sub specie aeternitatis, under the appearance of eternity (Spinoza), that is true. Sub specie cruciatus, under the aspect of torturous execution, it is no less true—from the evangelists’ point of view—that Jesus ultimately, faithfully prayed to a God whose presence he could no longer perceive”… Both of these quotations suggest that it was Jesus’ own perception that the Father and withdrawn from him. 1. 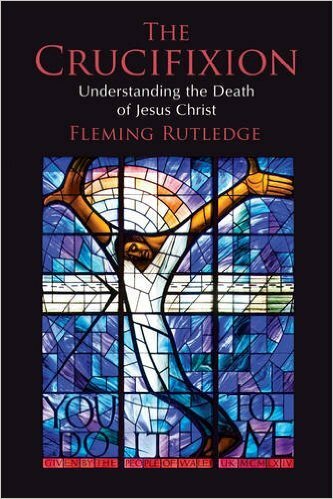 Fleming Rutledge, The Crucifixion: Understanding the Death of Jesus Christ (Grand Rapids, MI: Eerdmans, 2016), 98. Sacrifices can deal with small problems of uncleanness but not serious sin; and sacrifices that express praise and commitment are nonsense when your relationship with God has broken down. When your wife has caught you being unfaithful, a gift of flowers or even a new car is not going to get you anywhere. It’s the same with God. All you can do when you have committed serious sin is cast yourself on God’s grace as someone who is crushed and broken by the price you have paid for your wrongdoing—as the Jerusalem community was in the exile. Then, if God forgives you and answers the prayers that come in the psalm, and does see to the city’s rebuilding, you can recommence your regular life of worship, in which sacrifice has its proper place as an expression of praise and commitment. Why does this matter? Two reasons: First, it makes better sense of our need for Christ. It’s not as if the old covenant was already sufficient to atone for people’s sins; it was never intended to be. Second, whereas David could only “cast himself on God’s grace,” hoping that the truth about God to which the Old Testament bears witness—that God is “merciful and gracious, slow to anger, and abounding in steadfast love and faithfulness”—would enable him to have a restored relationship, we have the objective certainty that on the cross of God’s Son Jesus, forgiveness for all sin has been made available to all. There’s no hoping, no guesswork. What else can we do but praise God when we consider this? 1. John Goldingay, Psalms for Everyone, Part 1 (Louisville: WJK, 2013), 163-4. 2 Cor. 5:21 This verse is one of the most important in all of Scripture for understanding the meaning of the atonement and justification. Here we see that the one who knew no sin is Jesus Christ (v. 20) and that he (God) made him (Christ) to be sin (Gk. hamartia, “sin”). This means that God the Father made Christ to be regarded and treatedas “sin” even though Christ himself never sinned (Heb. 4:15; cf. Gal. 3:13). Further, we see that God did this for our sake—that is, God regarded and treated “our” sin (the sin of all who would believe in Christ) as if our sin belonged not to us but to Christ himself. Thus Christ “died for all” (2 Cor. 5:14) and, as Peter wrote, “He himself bore our sins in his body on the tree” (1 Pet. 2:24). In becoming sin “for our sake,” Christ became our substitute—that is, Christ took our sin upon himself and, as our substitute, thereby bore the wrath of God (the punishment that we deserve) in our place (“for our sake”). Thus the technical term for this foundational doctrine of the Christian faith is the substitutionary atonement—that Christ has provided the atoning sacrifice as “our” substitute, for the sins of all who believe (cf. Rom. 3:23–25). The background for this is Isaiah 53 from the Greek (Septuagint) translation of the Hebrew OT, which includes the most lengthy and detailed OT prophecy of Christ’s death and which contains numerous parallels to 2 Cor. 5:21. Isaiah’s prophecy specifically uses the Greek word for “sin” (Gk. hamartia) five times (as indicated below in italics) with reference to the coming Savior (the suffering servant) in just a few verses—e.g., “surely he has born our griefs” (Isa. 53:4); “He was crushed for our iniquities” (Isa. 53:5); “the Lord has laid on him the iniquity of us all” (Isa. 53:6); “he shall bear their iniquities” (Isa. 53:11); “he bore the sin of many” (Isa. 53:12). In a precise fulfillment of this prophecy, Christ became “sin” for those who believe in him, so that in him we might become the righteousness of God. This means that just as God imputed our sin and guilt to Christ (“he made him to be sin”) so God also imputes the righteousness of Christ—a righteousness that is not our own—to all who believe in Christ. Because Christ bore the sins of those who believe, God regards and treatsbelievers as having the legal status of “righteousness” (Gk. dikaiosynē). This righteousness belongs to believers because they are “in him,” that is, “in Christ” (e.g., Rom. 3:22; 5:18; 1 Cor. 1:30; 2 Cor. 5:17, 19; Phil. 3:9). Therefore “the righteousness of God” (which is imputed to believers) is also the righteousness of Christ—that is, the righteousness and the legal status that belongs to Christ as a result of Christ having lived as one who “knew no sin.” This then is the heart of the doctrine of justification: God regards (or counts) believers as forgiven and God declaresand treats them as forgiven, because God the Father has imputed the believer’s sin to Christ and because God the Father likewise imputes Christ’s righteousness to the believer. (See further notes on Rom. 4:6–8; 5:18; 10:3; 10:6–8; see also Isa. 53:11: “the righteous one, my servant, [shall] make many to be accounted righteous”). In today’s scripture, Jesus sheds light on the meaning of his death when he says he came not to serve, but to serve and to “give his life as a ransom for many.” What does it mean that Christ was our ransom for sin? The answer gets to the heart of what we mean when we talk about atonement: how the cross reconciles us to God. My prayer is that this sermon will help us fall in love with Jesus all over again. 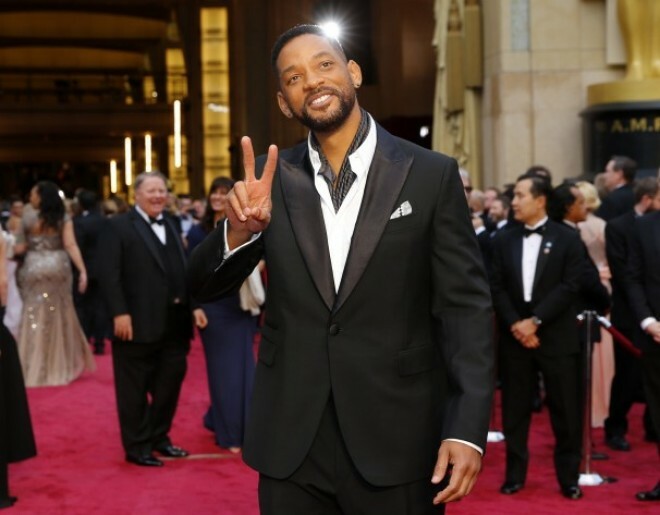 Tonight is Oscar night, which means all the biggest stars of Hollywood will turn out to walk the red carpet, and one of them will surely be actor Will Smith, one of the most successful leading men of all time. In an interview this month, Smith was talking about his biggest box office flop, a 2013 science fiction film called After Earth. No, I didn’t see it, either. The weekend after it opened—and he got word how disappointing the box office returns were—he was crushed. He had never failed like that before. But, after a 90-minute workout on his treadmill, he said he had an epiphany: He realized that he was trying to fill a hole in his life with worldly success. He said that for years he had strived to be a bigger star than anyone, and if he achieved that, then and only then would he would have the love his heart yearned for. But after this movie flopped, he realized how shallow this goal was. My margin note on the top of page 58 of Adam Hamilton’s Not a Silent Night. 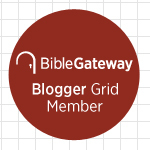 I realize I’m in danger of making penal substitution a hobby horse on this blog. I’m happy to do so, however, given the important theological questions at stake: Did Jesus’ death on the cross accomplish something objective, which deals once and for all with with humanity’s problem—my problem—with sin? Or is the cross effective only inasmuch as it inspires us to change? In other words, does the effectiveness of the cross depend on our response to it? What’s at stake, therefore, is the question of whether or not the Atonement is objective or subjective. I hope for my sake that the Atonement is objective. If the effectiveness of the cross depends on my weak and waffling response to it—even after 30 years of being a baptized, professing Christian—I’m afraid I’m in trouble. That is, unless our sins aren’t really a problem for God after all. But if that were so, how do we make sense of most of the Bible, not least of which Romans 1-7? More on that in a moment. One of the things that the cross “leads us to accept,” Hamilton says, is the truth that Jesus is our Savior. But I wonder if he isn’t begging the question: Saved how? Saved from what? If Hamilton is right that the objective theories of Atonement get it wrong—reduced, so he says, to “mathematical, economic, or juridical” formulae—then we are saved from our ignorance: ignorance of our sins, ignorance of the costliness of God’s forgiveness, ignorance of how much God loves us. And how are we saved? Hamilton implies that we’re saved when the cross melts our hardened hearts, and we finally see the truth. While he’s not entirely wrong, his words don’t go nearly far enough: I would say that we mostly need to saved from our sins themselves—not our ignorance of them or anything else! Hamilton says that our sin alienates us from God. And I agree, but why does it alienate us? Paul answers this question nicely in his Letter to the Romans: God is holy; God has justifiable wrath toward sin; God is committed to seeing to it that justice is fully and finally done. Among other things, this means that sin must be judged and punished. God was telling the truth in Genesis 2:17 when he warned Adam that eating the fruit of the tree of the knowledge of good and evil would lead to death. Paul, inspired as he was by the Spirit, was telling the truth when he said in Romans 3:23 that the wages of sin is death. Hamilton says that our sins are a serious problem, but they only seem to be problem from our side of the relationship: again, they prevent us from “seeing” properly. If our sins are a problem on God’s side, Hamilton doesn’t say. Instead, from Hamilton’s perspective, being forgiven isn’t a matter of accepting God’s gift of forgiveness made possible by Christ’s costly, atoning death on the cross, which he suffered willingly out of an incomprehensible love for us; rather, being forgiven is a matter of realizing how “forgiving” God already is. Which of these alternatives makes better sense of the biblical witness? 1. 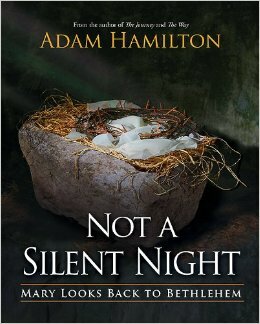 Adam Hamilton, Not a Silent Night (Nashville: Abingdon, 2014), 57-8.